The Franco-Dutch War, often just the Dutch War (French: Guerre de Hollande, Dutch: Hollandse Oorlog), was a conflict that lasted from 1672 to 1678 between the Dutch Republic and France, each supported by allies. France had the support of England and Sweden, while the Dutch were supported by Spain, the Holy Roman Empire and Denmark. Spain cedes Franche-Comté and cities in the Spanish Netherlands to France. The war began in May 1672 when France invaded the Netherlands and nearly overran it, an event still referred to as het Rampjaar or 'Disaster Year'. By late July, the Dutch position had stabilised, with support from Emperor Leopold, Brandenburg-Prussia and Spain; this was formalised in the August 1673 Treaty of the Hague, joined by Denmark in January 1674. Faced by a financial crisis, Sweden agreed to remain neutral in return for French subsidies, but became involved in the 1675–1679 Scanian War with its regional rivals Denmark and Brandenburg. On balance, the cost of funding the Swedish army made its support largely negative for France. The period of English participation as an ally of France is also known as the Third Anglo-Dutch War; the alliance was always unpopular and domestic opposition led to its exit in the February 1674 Treaty of Westminster. In November 1677, William of Orange married his cousin Mary, niece to Charles II of England and England agreed a defensive alliance with the Dutch in March 1678. Under the Peace of Nijmegen, France returned Charleroi to Spain. In return, it received the Franche-Comté and cities in Flanders and Hainaut, essentially establishing modern France's northern border. However, it also marked the highpoint of French expansion under Louis and William's arrival as leader of an anti-French coalition, which would hold together in the 1688–1697 Nine Years War and 1701–1714 War of the Spanish Succession. The 16th and 17th centuries in Europe were dominated by the rivalry between French Bourbons and their Hapsburg rivals in Spain and the Holy Roman Empire. Largely Catholic France supported the Protestant Dutch Republic in their 1568–1648 Eighty Years War against Spain and in 1635 entered the Thirty Years' War as part of the anti-Imperial Protestant alliance. The 1648 Peace of Westphalia ended the wider war but the subsidiary Franco-Spanish War continued until the 1659 Treaty of the Pyrenees; when it ended, Spain was no longer the dominant power in Europe. Louis XIV took control of government in 1661 and embarked on an expansionist foreign policy, capturing large parts of the Spanish Netherlands and Franche-Comté in the 1667–1668 War of Devolution. This concerned the Dutch, who preferred a weak Spain as a neighbour, rather than a strong and ambitious France; their Triple Alliance with England and Sweden forced Louis to relinquish many of his gains in the 1668 Treaty of Aix-la-Chapelle. Angered by what he viewed as ingratitude, Louis widened his targets to include the United Provinces but first moved to break up the Alliance before making another attempt. In 1670, Charles II of England signed the Treaty of Dover, agreeing to support France against the Dutch, and to supply 6,000 English and Scottish troops for the French army. The Treaty contained various secret provisions, not revealed until 1771, one being the payment to Charles of £230,000 per year for the services of this Brigade. Additional agreements with the Bishopric of Münster and Electorate of Cologne allowed French forces to bypass Dutch forward defences in the Spanish Netherlands. Diplomatic preparations were completed in April 1672, when Charles XI of Sweden accepted French subsidies in return for Swedish neutrality and an undertaking to attack Brandenburg-Prussia, if it intervened on the side of the Dutch. Measures taken by Louvois, Louis' Secretary of War, allowed France to mobilise about 180,000 men, of which 120,000 were allocated to operations directly against the Dutch Republic. This was split into two main sections, one based in Charleroi, then held by France and led by Marshall Turenne, with another under Condé in Sedan. Both would march through the pro-French Prince-Bishopric of Liège, join near Maastricht and gain control of the Lower Rhine. A third army primarily composed of German mercenaries paid by France's allies of Münster and Cologne and commanded by Marshall Luxembourg was based on the Rhine itself, which would attack the duchy of Cleves and the region of Nijmegen. Finally, a fourth element was the landing of an English amphibious force near Ostend, as part of an agreement that England would be given control of key ports in the Spanish Netherlands. England declared war on the Dutch Republic on 7 April 1672, in a manufactured diplomatic incident known as the 'Merlin' affair. Lambert de Hondt (II): Louis XIV is offered the city keys of Utrecht, as its magistrates surrender on June 30, 1672. 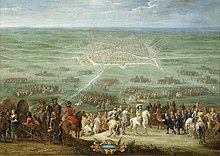 The French offensive began when Louis arrived in Charleroi on 5 May 1672; avoiding a direct assault on Maastricht, they first occupied the forts of Tongeren, Maaseik and Valkenburg. On 11 May, Turenne's army of 50,000 advanced along the Rhine, supported by forces from Münster and the Electorate of Cologne. They captured Rheinberg, Wesel, Burick and Orsoy and by the middle of July, the major Dutch fortresses of Nijmegen and Fort Crèvecœur near 's-Hertogenbosch had also fallen. These losses initially caused panic and a divided States General asked Louis for peace terms. On 7 June, Dutch Admiral Michiel de Ruyter boldly attacked an Anglo-French fleet assembling off the English coast at Southwold; the Battle of Solebay was a tactical draw but a strategic Dutch victory, as it prevented an attempted Anglo-French blockade. Negotiations provided time to finish the Dutch Water Line and after William of Orange had withdrawn his forces behind them, the gates were opened on 22 June 1672, flooding the land. The French terms caused outrage when the Dutch received them on 1 July; in addition to the French retaining their existing gains, the Dutch were given the choice of surrendering their southern fortresses, permitting religious freedom for Catholics and a payment of six million guilders, or a single payment of sixteen million guilders. The result was to bolster Dutch resistance; on 4 July, William was appointed Stadtholder and first repelled an invasion force from Münster at Groningen in July, then recaptured much of the territory lost in June. In August, Johan and Cornelis de Witt, whose policies were blamed for the Dutch collapse, were lynched by an Orangist mob, leaving William in control. The Dutch position had stabilised, while concern at French gains brought the support of Brandenburg-Prussia, Emperor Leopold and Charles II of Spain. Instead of a rapid victory, Louis was forced into another war of attrition around the French frontiers; in August, Turenne ended his offensive against the Dutch and proceeded to Germany with 25,000 infantry and 18,000 cavalry. Frederick William and Leopold combined their forces of around 25,000 under the Imperial general Raimondo Montecuccoli; he crossed the Rhine at Koblenz in January 1673 but Turenne forced him to retreat into northern Germany. Until the advent of railways in the 19th century, goods and supplies were largely transported by water, making rivers such as the Lys, Sambre and Meuse vital for trade and military operations. The primary French objective in 1673 was the capture of Maastricht, which controlled a key access point on the Meuse; the city surrendered on 30 June. In June 1673, the French occupation of Kleve and lack of money temporarily drove Brandenburg-Prussia out of the war in the Peace of Vossem. However, in August, the Dutch, Spain and Austria, supported by other German states, agreed the anti-French Alliance of the Hague, joined by Charles IV of Lorraine in October. In September, William recaptured Naarden, while Münster and Cologne left the war in November; with the war expanding into the Rhineland and Spain, French troops withdrew from the Dutch Republic, retaining only Grave and Maastricht. The Dutch naval victory over an Anglo-French fleet at the Texel, August 1673 was a key moment in ensuring Dutch survival. The alliance between England and Catholic France had been unpopular from the start and although the real terms of the Treaty of Dover remained secret, many suspected them. The Cabal ministry that managed government for Charles had gambled on a short war but when this proved not to be the case, opinion quickly turned against it, while the French were also accused of abandoning the English at Solebay. 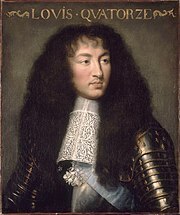 Opposition to the alliance with France further increased when Charles' heir, his Catholic brother James, was given permission to marry Mary of Modena, also a devout Catholic. In February 1673, Parliament refused to continue funding the war unless Charles withdrew a proposed Declaration of Indulgence and accepted a Test Act barring Catholics from public office. After Dutch naval forces defeated an Anglo-French fleet at Texel in August and captured the English settlement of New York City, pressure to end the war became unstoppable and England made peace with the Republic in the February 1674 Treaty of Westminster. To offset these losses, Swedish forces in Swedish Pomerania attacked Brandenburg-Prussia in December 1674 after Louis threatened to withhold their subsidies; this sparked Swedish involvement in the 1675–1679 Scanian War, but their intervention proved of limited value to France. In broad terms, French strategy now focused on retaking Spanish possessions gained in 1667–1668 but returned at Aix-La-Chappelle, while preventing Imperialist advances in the Rhineland. They also supported minor campaigns in Roussillon and Sicily that absorbed Spanish and Dutch naval resources. In Northern Europe, the French recaptured Franche-Comté by July 1674, while Condé's army in the Spanish Netherlands remained on the defensive. With the advantage of superior numbers, the main Allied field army under William of Orange sought to take the initiative by invading French Flanders, supported by the Spanish, who wanted to recapture Charleroi. This resulted in the indecisive Battle of Seneffe in August 1674; both sides suffered heavy casualties but while the Allies quickly replaced theirs, the French could not. Seneffe confirmed Louis' preference for positional warfare, ushering in a period where siege and manoeuvre dominated military tactics. The biggest obstacle to Allied success in Flanders were their diverging objectives; the Imperialists wanted to prevent reinforcements reaching Turenne in the Rhineland while the Spanish aimed at recovering losses in the Spanish Netherlands. The Dutch were further split by internal disputes; the powerful Amsterdam mercantile body were anxious to end an expensive war once their commercial interests were secured, while William saw France as a long-term enemy that had to be defeated. This conflict increased once ending the war became a distinct possibility with the recapture of Grave in October 1674, leaving only Maastricht. During the winter of 1673–1674, Turenne based his troops in Alsace and the Palatinate; despite England's withdrawal from the war in February, his army of less than 8,000 retained a number of English regiments, as Charles II encouraged members to continue serving in order to keep his French subsidies. Monmouth and Churchill were among those who did so, but many others enrolled in the Dutch Scots Brigade, including John Graham, later Viscount Dundee. Turenne opened the 1674 campaign by crossing the Rhine in June with 7,000 men, hoping to attack Charles of Lorraine before he could combine with forces under Alexander von Bournonville. At the Battle of Sinsheim, the French routed a separate Imperial army led by Aeneas de Caprara but the delay allowed Bournonville to link up with Charles at Heidelberg; reinforced by additional troops, Turenne began crossing the Neckar river and as he did so, the Imperial troops retreated. 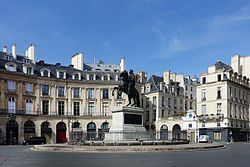 Bournonville marched south to the Imperial City of Strasbourg, giving him a base for an attack on Alsace but before doing so, he awaited the arrival of 20,000 troops under Frederick William. To prevent this, Turenne made a night march that enabled him to surprise the Imperial army and comprehensively defeated it at Entzheim on 4 October. As was then accepted practice, Bournonville halted operations until spring but in his Winter Campaign 1674/1675, Turenne inflicted a series of defeats that secured Alsace. The 1675 Imperial campaign was directed by Montecuccoli, one of the few considered Turenne's equal, who was killed at the Battle of Salzbach on 27 July. This was a serious blow for the French, who were forced back to the Vosges and defeated at the Battle of Konzer Brücke on 11 August. Condé, previously commander in Flanders, took over and stabilised the front but health issues forced him to retire in December 1675 and he was replaced by Créquy. Activity on this front was largely limited to skirmishing in Roussillon between a French army under Frederick von Schomberg and Spanish forces led by the Duque de San Germán. The Spanish won a minor victory at Maureillas in June 1674 and captured Fort Bellegarde, ceded to France in 1659 and retaken by Schomberg in 1675. In Sicily, the French supported a successful revolt by the city of Messina against their Spanish overlords in 1674, obliging San Germán to transfer some of his troops. A French naval force under Jean-Baptiste de Valbelle managed to resupply the city in early 1675 and establish local naval supremacy. On both sides, the last years of the war saw minimal return for their investment of men and money. French strategy in Flanders was largely based on Vauban's proposed line of fortresses known as the Ceinture de fer or iron belt (see Map). This aligned with Louis' preference for siege warfare, which was further reinforced by the death of Turenne and Condé's retirement; their passing removed two of the most talented and aggressive French generals of the 17th century and the only ones with sufficient stature to challenge him. In Germany, Imperial forces recaptured Philippsburg in September 1676 but the French stabilised their front. In an attempt to regain some of their losses, the Imperialists assembled an army in the Rhineland under Charles of Lorraine but minor defeats at Rheinfelden and Ortenbach in July 1678 ended these hops. The French followed up by capturing Kehl and the bridge over the Rhine near Strasbourg, thus ensuring control of Alsace. The Spanish theatre remained largely static; French victory at Espolla in July 1677 left the strategic position unchanged but their losses worsened the crisis faced by the Spanish administration. Dutch admiral De Ruyter was killed at Augusta in April 1676 and the French achieved naval supremacy in the Western Mediterranean when their galleys surprised the Dutch/Spanish fleet at anchor at Palermo in June. However, French intervention had been opportunistic; friction arose with the anti-Spanish rebels, the cost of operations was prohibitive and Messina was evacuated in early 1678. The peace talks that began at Nijmegen in 1676 were given a greater sense of urgency in November 1677 when William married his cousin Mary, Charles II of England's niece. An Anglo-Dutch defensive alliance followed in March 1678, although English troops did not arrive in significant numbers until late May. This allowed Louis to improve his negotiating position by capturing Ypres and Ghent in early March, before signing a peace treaty with the Dutch on 10 August. The Battle of Saint-Denis was fought three days later on 13 August, when a combined Dutch-Spanish force attacked the French army under Luxembourg. While a French tactical victory, it ensured Mons would remain in Spanish hands and on 19 August, Spain and France agreed an armistice, followed by a formal peace treaty on 17 September. Louis' title of the 'Sun King' dates from after the Peace of Nijmegen but while undoubtedly a French victory, the terms were significantly worse than those available in July 1672 and it marked the highpoint of French expansion under his rule. France returned Charleroi, Ghent and other towns in the Spanish Netherlands, in return for Spain ceding Franche-Comté, Ypres, Maubeuge, Câteau-Cambrésis, Valenciennes, Saint-Omer and Cassel; with the exception of Ypres, all of these remain part of modern France. France's ally Sweden regained Swedish Pomerania by the 1679 Treaty of Saint-Germain-en-Laye but this did little to improve its parlous financial position. In addition, Frederick William's resentment at being forced to give up what he saw as his own territory turned Brandenburg-Prussia into an implacable opponent. The Dutch recovered from the near disaster of 1672 to prove they were a permanent and significant power in Northern Europe. Arguably, their most lasting gain was William's marriage to Mary and his arrival as one of the most powerful statesmen in Europe, with sufficient stature to hold together an anti-French coalition. It also showed that while significant sections of the English mercantile and political class were anti-Dutch on commercial grounds, there was no popular support for an alliance with France. In Spain, defeat led to the Queen Regent, Mariana of Austria, being replaced by her long-term rival, the pro-French John of Austria the Younger. She returned to power after his death in September 1679 but not before he arranged the marriage of Charles II of Spain to Louis' niece, 17-year-old Marie Louise of Orléans in November 1679. Louis had the enormous advantage of a unified strategy, in contrast to the differing objectives of his opponents; while this remained a factor, 1672-1678 showed the threat of French expansion over-ruled all other considerations and that France was not strong enough to impose its objectives without support. His inability to recognise this and the 1683–1684 War of the Reunions led to the creation of the anti-French Grand Alliance in 1688, which held together through the 1688–1697 Nine Years War and the 1701–1714 War of the Spanish Succession. ^ Clodfelter, Michael (1992). Warfare and Armed Conflicts: A Statistical Reference to Casualty and Other Figures, 1500–2000 (2017 ed.). McFarland & Co. p. 47. ISBN 978-0786474707. ^ a b c Clodfelter 2017, p. 47. ^ Boxer, CR (1969). "Some Second Thoughts on the Third Anglo-Dutch War, 1672–1674". Transactions of the Royal Historical Society. 19: 74–75. doi:10.2307/3678740. JSTOR 3678740. ^ Wolf, John (1962). The Emergence of European Civilization. Joanna Cotler Books. p. 316. ISBN 978-0060471804. ^ Frost, Robert (2000). The Northern Wars; State and Society in Northeastern Europe 1558–1721. Routledge. p. 209. ISBN 978-0582064294. ^ a b c Lynn 1999, p. 113. ^ Rowen, Herbert Harvey (1978). John de Witt, Grand Pensionary of Holland, 1625–1672 (2015 ed.). Princeton University Press. pp. 755–756. ISBN 978-0691600437. ^ a b Lynn 1999, p. 115. ^ Reinders, Michel (2013). Printed Pandemonium: Popular Print and Politics in the Netherlands 1650–72. Brill. pp. 108–110. ISBN 978-9004243187. ^ Young, William (2004). International Politics and Warfare in the Age of Louis XIV and Peter the Great. iUniverse. p. 131. ISBN 978-0595329922. ^ Lynn 1999, p. 114. ^ Smith 1965, p. 200. ^ Lynn 1999, p. 117. ^ Lynn 1999, p. 118. ^ Childs, John (1991). The Nine Years' War and the British Army, 1688–1697: The Operations in the Low Countries (2013 ed.). Manchester University Press. pp. 32–33. ISBN 978-0719089961. ^ Lynn 1999, p. 120. ^ Palmer, Michael (2005). Command at Sea: Naval Command and Control Since the Sixteenth Century (2007 ed.). Harvard University Press;. pp. 60–61. ISBN 978-0674024113. ^ Hutton, Ronald (1989). Charles II: King of England, Scotland and Ireland. Clarendon Press. pp. 345–346. ISBN 978-0198229117. ^ Young, 2004, p. 132. ^ Lynn 1999, p. 125. ^ Van Nimwegen, Olaf (2010). The Dutch Army and the Military Revolutions, 1588–1688. Boydell Press. p. 479. ISBN 978-1843835752. ^ Jacques, Tony (2007). Dictionary of Battles and Sieges: A Guide to 8,500 Battles from Antiquity through the Twenty-first Century, Volume 2, F-O. Greenwood. p. 408. ISBN 978-0313335389. ^ Linklater, Magnus (2004). "Graham, John, first viscount of Dundee [known as Bonnie Dundee". doi:10.1093/ref:odnb/11208. ^ Lynn 1999, pp. 131–132. ^ Lynn 1999, p. 141. ^ Lynn 1999, p. 135. ^ Blackmore, RT (2011). Warfare on the Mediterranean in the Age of Sail: A History, 1571–1866. McFarland & Co. pp. 95–96. ISBN 978-0786447992. ^ Nolan, Cathal (2008). Wars of the Age of Louis XIV, 1650–1715: An Encyclopedia of Global Warfare and Civilization. Greenwood. p. 126. ISBN 978-0313330469. ^ Wolfe, Michael (2009). Walled Towns and the Shaping of France: From the Medieval to the Early Modern Era. AIAA. p. 149. ISBN 978-0230608122. ^ Lynn 1999, pp. 148–149. ^ Lynn 1999, p. 159. ^ "Treaty of Peace between France and Spain, signed at Nimeguen, 17 September 1678" (PDF). Oxford International Public Law. doi:10.1093/law:oht/law-oht-14-CTS-441.regGroup.1/14_CTS_441_eng (inactive 8 March 2019). Retrieved 31 December 2018. ^ Clark, Christopher M. (2007). Iron kingdom: the rise and downfall of Prussia, 1600–1947. Penguin. p. 50. ISBN 978-0140293340. ^ Barton, Simon (2008). A History of Spain (2009 ed.). Palgrave. p. 146. ISBN 978-0230200128.